Also known as bathtub resurfacing or bathtub reglazing, bathtub refinishing offers a great way to give any bathroom a new look. It is, in fact, the most cost-effective way and works well for showers, ceramic tile, countertops, and sinks that are worn out or damaged over time. There are many property owners out there, who have already taken advantage of bathtub refinishing and believe me; they are very happy and satisfied with their beautiful new bathrooms.Simply put, bathtub refinishing is now considered the best alternative to replacement of old bathtubs, tile, shower pans and sinks. Now, let’s talk about the top two benefits of porcelain refinishing. 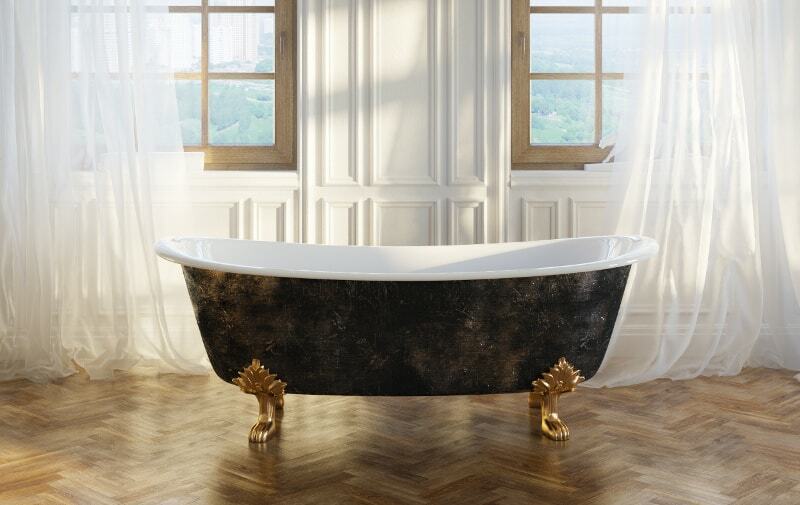 Saving money is one of the biggest benefits of bathtub refinishing. You know replacing your old bathtub with the new one can cost you around $1500 to $2000 depending on what part of the country you live in. Not only this, there could be some hidden charges that would be associated with plumbing, tile and floor jobs. On the other hand, bathtub refinishing can help you save up to 80% of the total cost of remodeling. Isn’t it what you are looking for? Replacing your bathtub can take a couple of weeks, creating a lot of mess. Of course, it takes time to rip out your old bathtub and install the new one. Additionally, a plumbing job is required and you may even need to rip out the tiles. There would be many things to take care of, which you may not have considered before making your decision. Seriously, It will be messy and inconvenient. That is why bathtub refinishing is recommended. It can be completed in only a few hours and you would also be able to use your tub the very next day. So, the choice is clear. Go with the bathtub refinishing and enjoy the bathtub your parents or grandparents left you. Thank you for the tremendous read. I particularly enjoyed what you said about how refinishing can be done quickly, and requires no re-plumbing. My mother has an old bathtub and it’s rather unsightly. I’ll advise she find a refinishing service, as plumbing takes a long time and my mother isn’t looking for a complete renovation. I like that you talk about how much money you can save by simply refinishing the bathtub. It makes sense that it’s beneficial to hire somebody to refinish the tub rather than replace it, particularly if it’s a unique size due to the rarity of unique tubs. My home has a very vintage style and the tub is one of my favorite things so having it refinished could maintain the style and size while still allowing the bathroom to look cleaner. Glad you are looking to maintain the vintage look. I like that you mention that refinishing can help save up to 80% of the total cost of remodeling. That’s great to know! My wife and I were really considering replacing our bathtub, but I think refinishing it would be good enough.Thanks for the information. I appreciate you mentioning that refinishing a bathtub will only last a few hours, which means we’ll be able to use it the next day. My husband and I are updating our bathroom, and we are wondering if we should refinish or replace our bathtub. We will definitely have to go with the former since we’d like the whole project to be completed as soon as possible. I like how you talked about how refinishing your bathtub by say, doing a tub reglazing, is recommended. Our bathtub is old and desperately in need of some tender loving care and we aren’t sure if we should replace it or refinish it. Thank you for the information about how it can take only a few hours and be usable the very next day! Previous Previous post: Want to Remodel Your Bathroom?